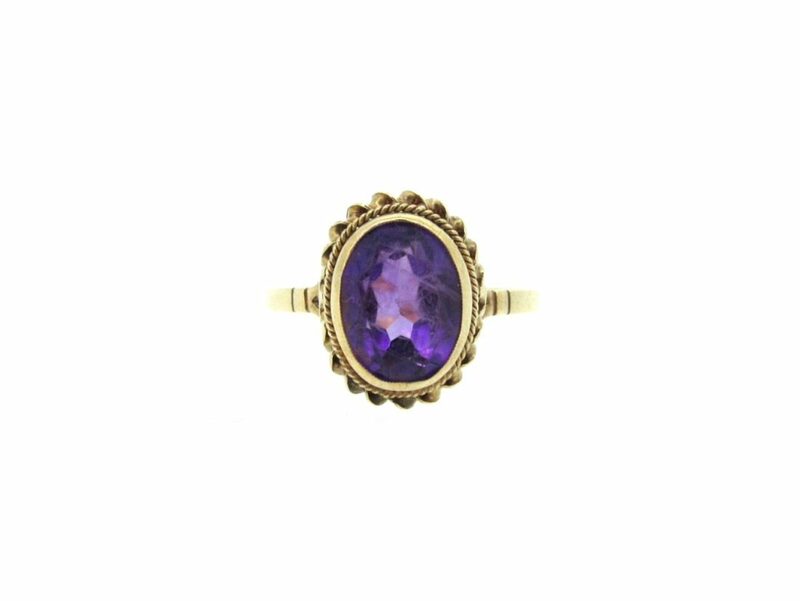 An antique style amethyst ring in 9ct gold. An oval cut faceted amethyst in a very stylish setting. Dimensions approx. 6mm x 7mm. Pre-owned.